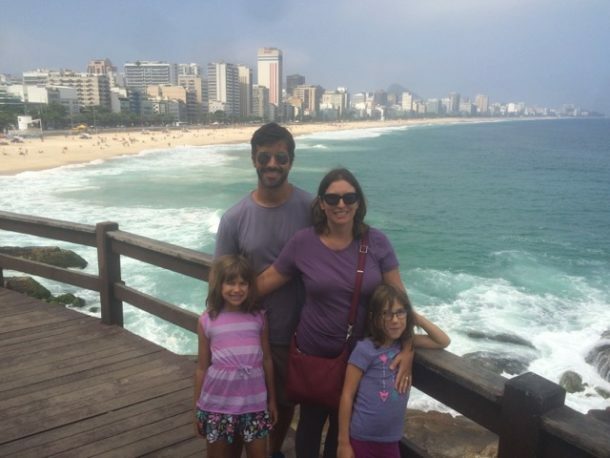 These were by far the longest travel days we had on our Round the World family adventure. We had an overnight flight from Sao Paulo, Brazil to Johannesburg, South Africa. 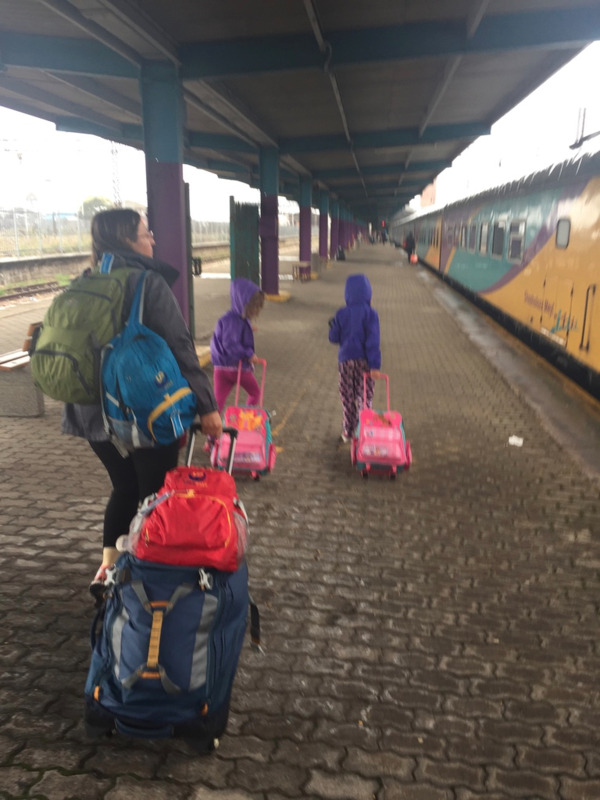 We went right from the airport to the train station and took an overnight train to Port Elizabeth. From there, we rented a car, and drove about 40 minutes to Valley Bushveld Country Lodge, near Addo Elephant National Park. It was Anthony’s first time driving on the left-hand side of the road, and even though he was fairly sleep deprived, we arrived safely. It felt like such a luxury to have good food and a hot shower again. One of the elephants we came across in the morning. 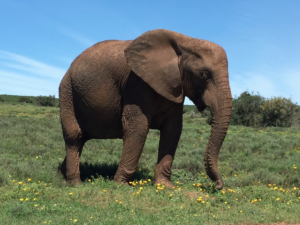 The next day, we went to Addo Elephant National Park. I was so excited that Hannah would be meeting her favorite animal, the elephant, in its natural habitat for the first time. The girls ended up fighting about something in the gift shop before we even got started in the park, though! Such is life traveling with kids! Addo Elephant National Park is a drive through park and there are road signs indicating the dung beetle has the right of way! We were lucky in that we spotted a herd of elephants almost immediately. A large bull elephant walked right in front of our car! We didn’t see many elephants throughout the rest of the day, but we did see Cape buffalo, various antelope, and Burchell’s zebras. 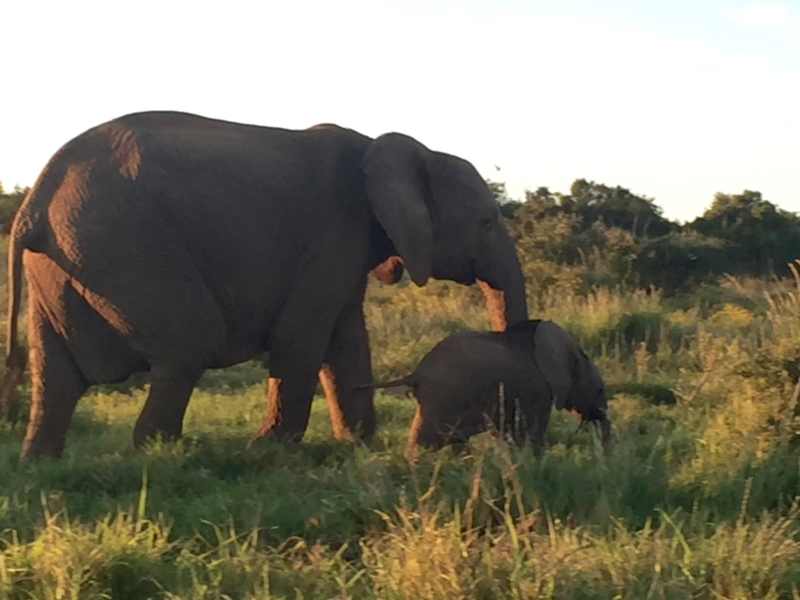 Just as we were leaving the park, we came across another large herd of elephants grazing at sunset. It was such an amazing site! Hannah and Amy in the jeep with their checklist. Lion…check! 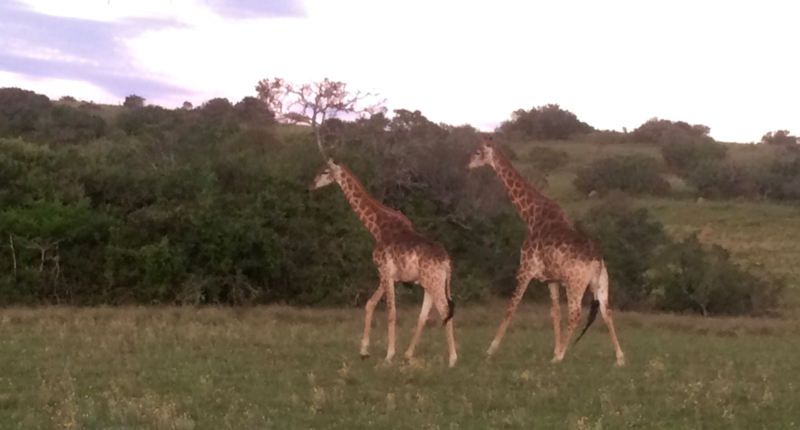 On our second full day in the Addo area, we went on a safari at Schotia Safaris Private Game Reserve. 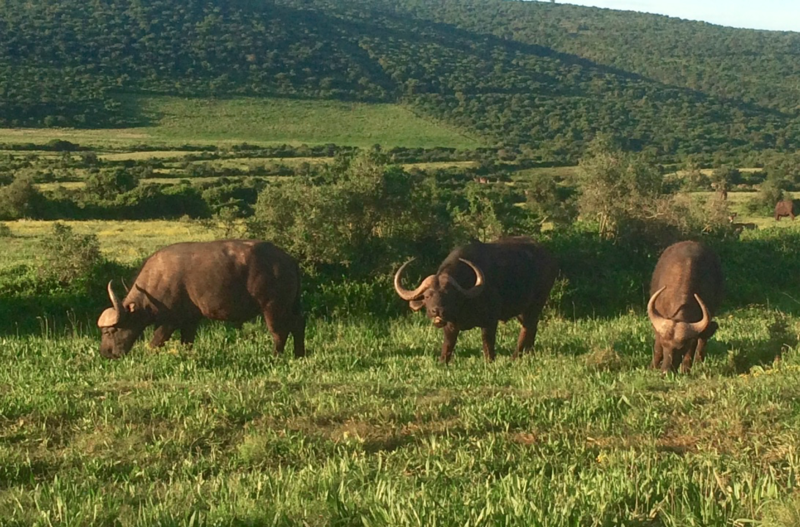 This Reserve borders Addo Elephant National Park and is the oldest private game viewing reserve on the Eastern Cape. 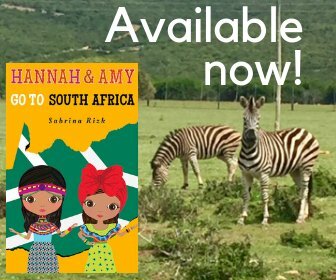 We liked it because our kids could go on the safari, including Amy, who had not yet turned 6. Safaris in Krueger National Park tend to have age restrictions, so be sure to check the age limitations before booking. Our vehicle was a 10-seater jeep with open sides. 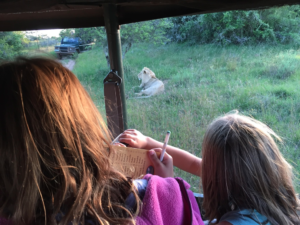 We were given a checklist of 35 mammals to look for and we saw about 20 of them, including lions, rhinos, wildebeest, elephants and giraffes. 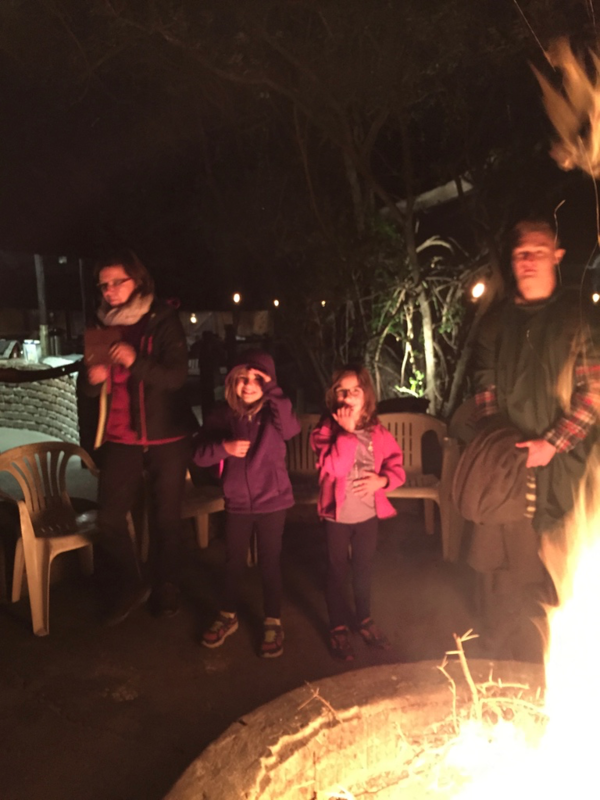 Part way through the safari, we took a break for dinner by a blazing fire, which my girls loved. All-in-all, it was a great day and we saw a lot of animals. Enjoying the fire after an afternoon of animal spotting. On our way to Tsitsikamma National Park the next day, we made a stop at Wild Cats World. Wild Cats World is dedicated to the conservation of endangered wildcats and their habitat. It is also the home of the Daniell Cheetah Project. The cheetah is one of Amy’s favorite animals (at least for now). We learned there, though, that even the few wild cats left in South Africa live on private land. Aside from cheetahs, we saw leopards, servals and caracals. 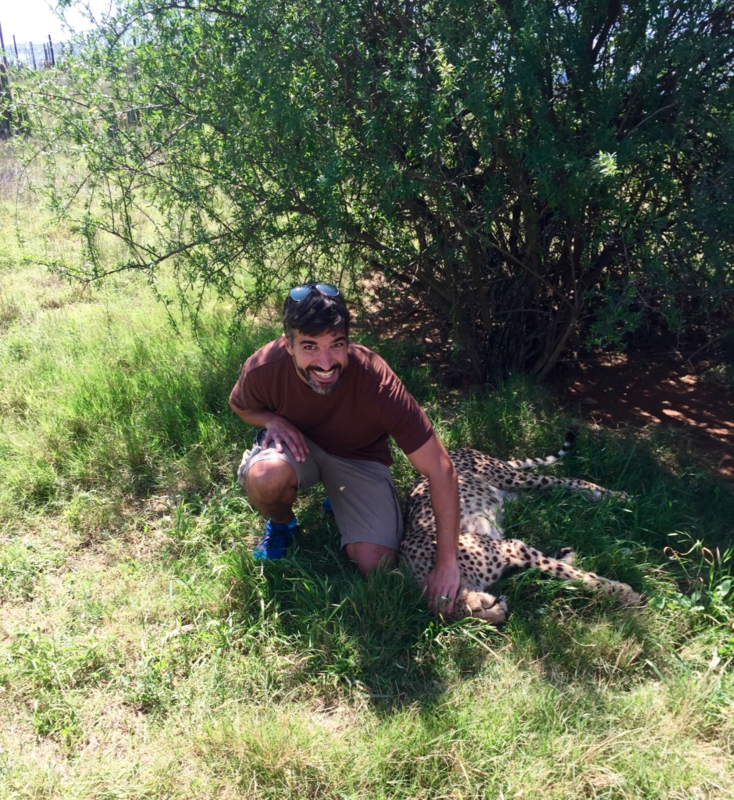 Anthony was even lucky enough to pet a cheetah! 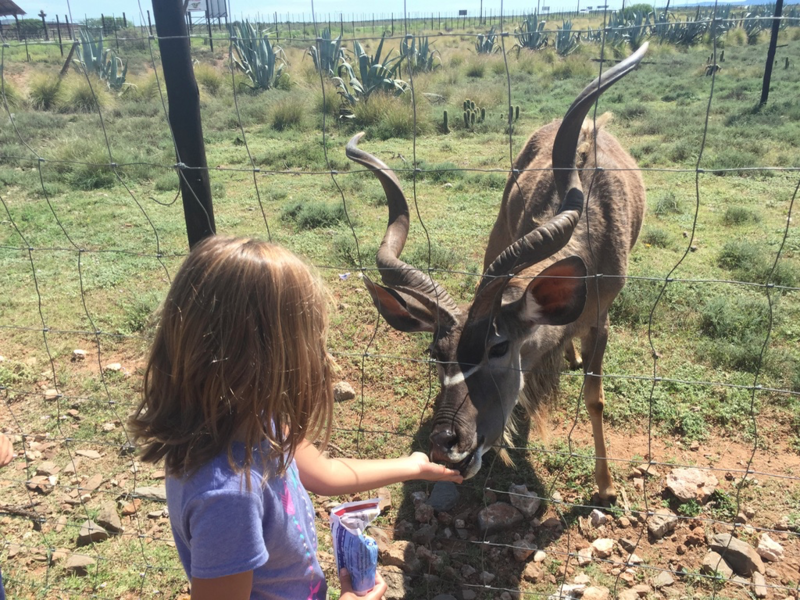 The kids were not allowed to pet the cheetah, due to safety concerns, but they did get to feed some Kudus. What a nice kitty cat! 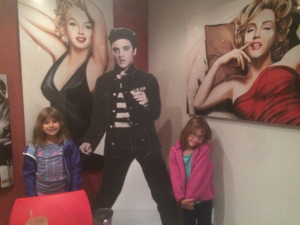 This was the girl’s introduction to Elvis Presley and Marilyn Monroe! 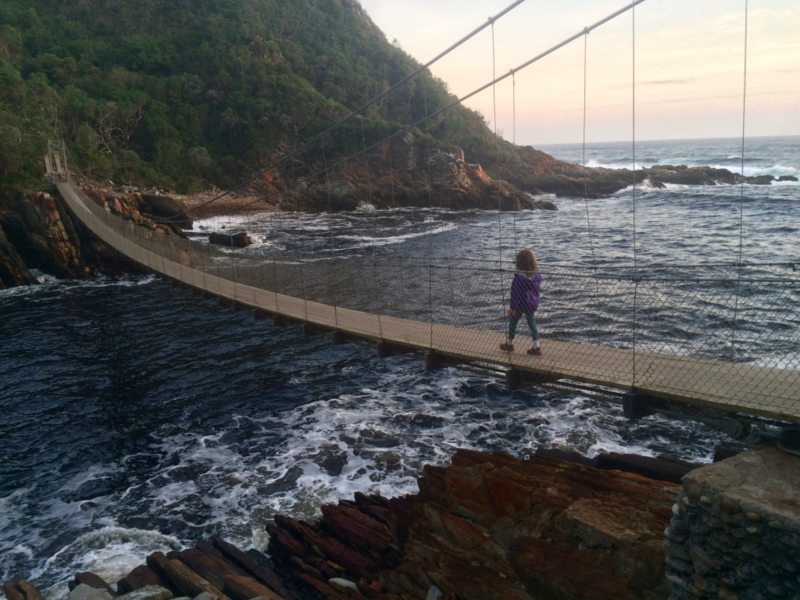 After our pit stop, we continued on the Garden Route to Tsitsikamma National Park. There is a little village there with a few shops and restaurants. One was an American diner, dedicated to Marilyn Monroe, Elvis Presley, and American cars from the 1950s! 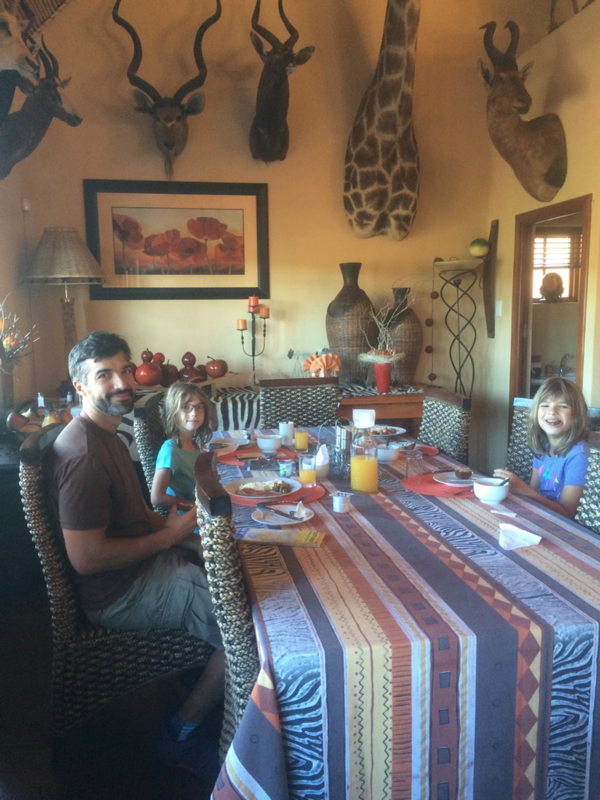 I couldn’t believe we came across an American diner in a South African National Park! The next day we finally got a break from being in a jeep, car, train or plane, and spent the day outside. 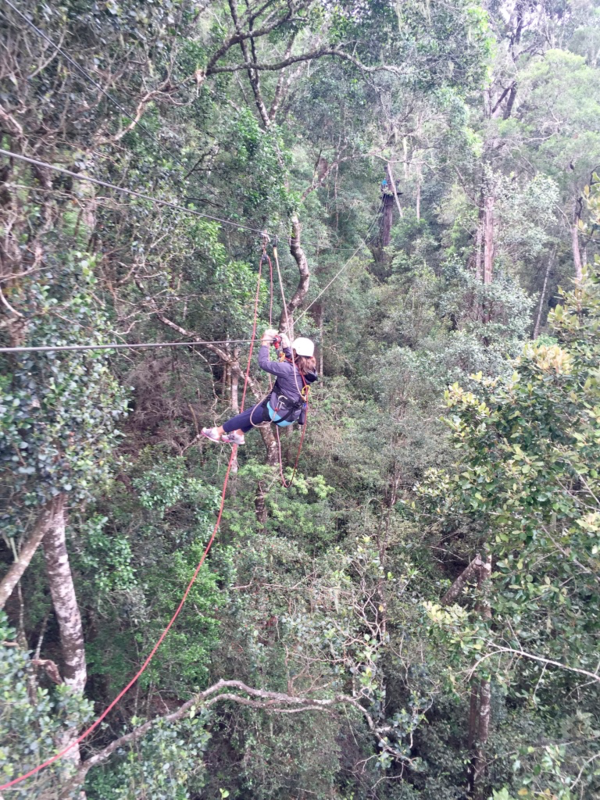 We had our first experience zip lining through the tree top canopy, which was a blast! Even better though, was when we went on an unplanned hike late that afternoon, over the mouth of Storms River. It was so beautiful to be there at sunset, then to enjoy a good meal in the Park afterward. It has been one of the best days on our trip so far. It’s hard to believe our first week in South Africa has already come to an end. While many days were travel days, we still packed a lot in. Next it’s onto Hermanus and Cape Town, so keep an eye out for that post. If you have any questions about the things we did or the places we stayed, please leave them in the comment box below. every small bit of it I have you bookmarked to check out new material you post. Hi , I do consider this is a superior blog.